Ailbhe Reddy's latest single The Tube precedes the Dublin-based singer's headline Irish and UK tour starting this week. It's the follow up to Relent which was released earlier this year and along with some well-received festival performances over the summer, her ability to combine both folk and rock influences into her songs suggests that she's got a big future ahead of her. The song deals with the turmoil that comes at the end of a relationship; an unwillingness to move on because of the emotional attachment but with a resignation that the other party has done already and the only way to let go is to walk them to the tube. 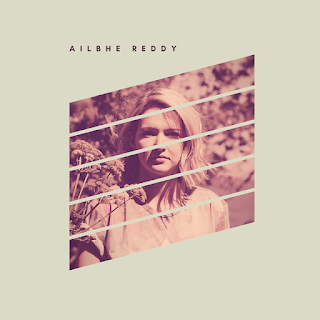 Like Ailbhe's previous singles, she recants experiences we've all gone through at some point with a real understanding of just how much it hurts. It's delivered with a voice that adds warmth and reassurance that everything will end up alright. Following on from last year's Hollowed Out Sea, The Tube marks out Ailbhe as an artist that we expect to see a lot more from in 2018 and beyond. She's on tour with her band in October and November at the following places - Belfast Black Box Studios (October 18), Galway Roisin Dubh (19), Cork Cyprus Avenue (20), Dublin Whelan's (21), Liverpool Philharmonic (27), Bury The Met (28), Leeds Oporto (29), Shrewsbury Henry Tudor House (30), Bristol The Canteen (November 1) and London St Pancras Old Church (2).